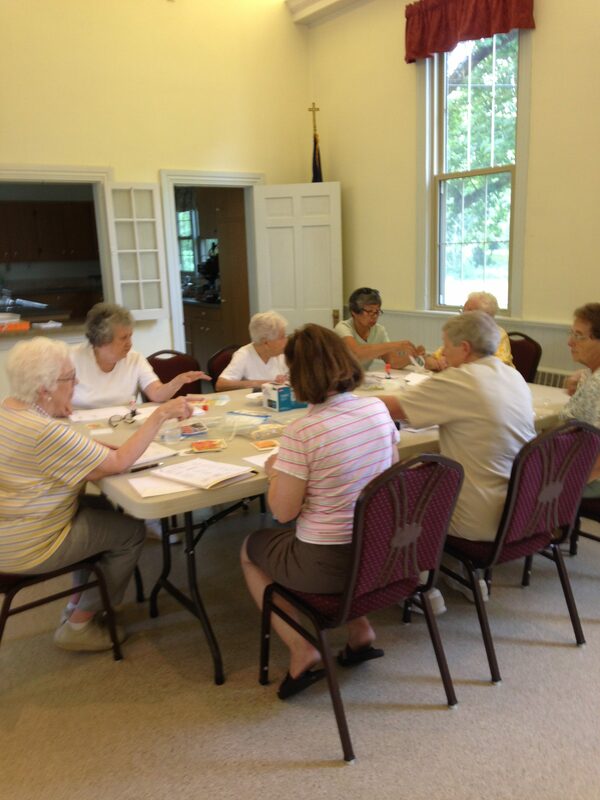 Women’s Outreach meets bi-monthly to make cards for the homebound and the residents of the Veteran’s Home in Vineland. We recycle old greeting cards by printing out messages of encouragement and Bible verses from the computer, cutting the cards to fit and attaching them on the front with glue. These are sent out weekly, often containing Christian History Leaflets. We serve the 305 residents at the veteran’s home in addition to those connected to our congregation. Four or five times a year we make smaller cards that will stand up on a table for each resident There are other projects such as decorations, lap robes and craft materials provided when there is a need. We meet the second Monday of every other month in the at 9:30 am at the home of Sharlene Branch. Won’t you come and join us?